Heavylift Inc. will provide you with the right equipment to get the job done safely and efficiently. With our large fleet of forklifts ranging from 2-ton to 60-ton with hydraulic booms. 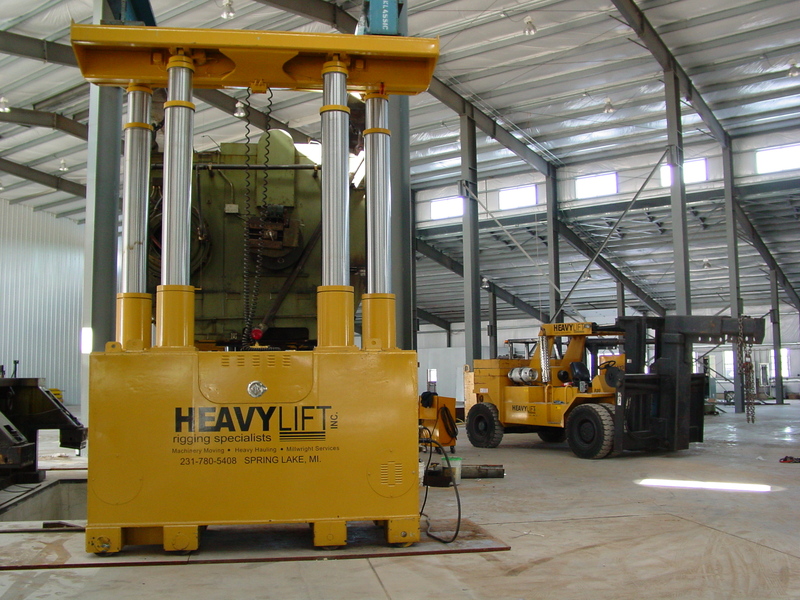 Heavylift Inc. will provide you with highly skilled personnel setup and assemble any type of equipment. 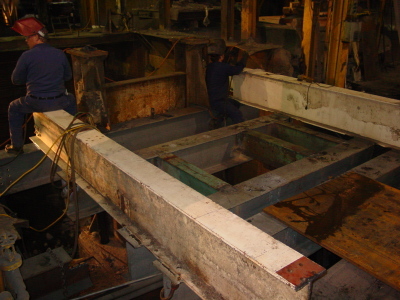 Our fabrication department can design and build specialty lifting attachments to make the impossible jobs routine. 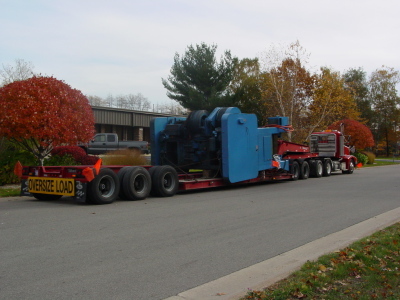 Heavylift Inc. will provide you with the right equipment to transport any type of machinery from legal weights and dimensions to oversize overweight super loads. Heavylift Inc. specializes in heavy industrial machinery installation, removal, or relocation; whether it be within the same plant, across town, or across the country. From planning to implementation, Heavylift Inc. has the necessary expertise and equipment to solve all of your rigging needs. Our goal is to give you the best service and quality at an affordable price. Heavylift Inc. Doing Business Better Since 1999. Installing a 2000-ton Extrusion Press, stacking a 600-ton Stamping Press, or relocating a 500-lb Bridgeport Mill, no job is too big or too small. Our experienced staff along with a modern fleet of lifting and transportation equipment can safely and efficiently handle any of your moving needs. We can also provide you with storage, for any type of machine in our warehouse located in Muskegon, MI.